Following the Supreme Court’s decision in the case of New Patriotic Party v Attorney-General [1993-94] 2 GLR 35 (SC)) the first respondent, a legal practitioner and a columnist of the Free Press newspaper obtained through the Deputy Judicial Secretary a copy of the judgment (exhibit MB1) delivered by Justice Abban- one of the panel members in that case. 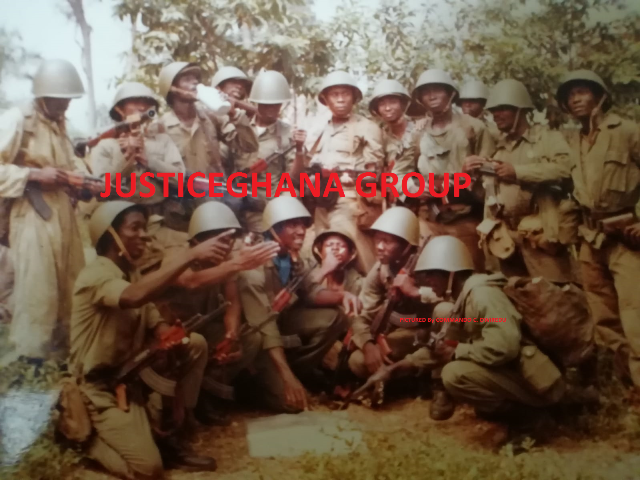 On receipt of the certified transcript of that judgement, the first respondent: Mensah-Bonsu, wrote to Justice Abban, contending that a statement praising the coup d’état of 24 February 1966 which had been published in the Daily Graphic newspaper of 24 February 1970 and which in the words of the first respondent, Justice Abban, had attributed to Former Prime Minister- Dr Kofi Abrefa Busia, at page 28 of his judgment, was the editorial opinion- ”Graphic View”- of the newspaper and requested the justice to offer an explanation for the said mistake. In support of his claim he attached a photocopy of the publication to his letter. In his reply to the registrar of the SC, the first respondent alleged that Justice Abban had altered the text of what he had read in court to meet his criticism. After attempts to have the issue resolved through the Media Commission failed, lodged a complaint against the three respondents with the police. After the police had taken statements from them, the Attorney-General brought a motion for an order to attach the first and second respondents for contempt of court and for the third respondent to pay a heavy fine and the costs of the proceedings. In granting the application, the Supreme Court held, inter alia that, “[a]lthough under CI 13 the registrar was defined to include the Judicial Secretary, on the evidence; the Deputy Judicial Secretary had never been in possession of the judgments of the court. Accordingly, the registrar of the Supreme Court was the person entitled to proper custody of the judgments and the one to whom applications for copies had to be made. And besides, since under section 162 of the Evidence Decree, 1972 (NRCD 323) a certified copy of any document was presumed to be genuine- that the certified copy of the judgment of Justice Kobbina Abban (exhibit CTC), was the only correct, admissible and acceptable judgment. On the evidence, however, and contrary to the provisions of s.70 (2) of the Courts Act, 1993 (Act 459), Mensah-Bonsu, was not the only one who had not been affected by the judgment of the Supreme Court but had also not made any written or oral application to the court for a copy of the judgment of Justice Abban nor had he been exempted from paying any costs therefore. The section 70(2) of the Courts Act 1993 provided that: “If a person affected by a judgement or a court order desires to have a copy of the judgement, order, deposition or other part of the record, he shall on application for the copy be furnished with it if he pays its cost except where the court for some special reason thinks fit to furnish it free of charge.” For these reasons, the Supreme Court found that the conduct of the first respondent- Mensah-Bonsus, with respect to obtaining the judgment of Justice Kobbina Abban and publishing it, was a contempt of court since it was an interference with the rules and processes of the Court.